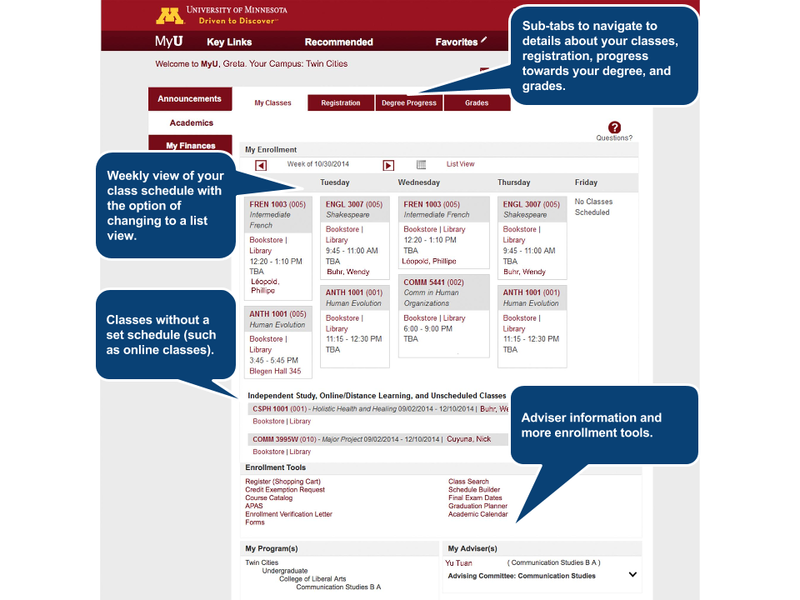 MyU Preview is a series giving a peek into pages within the new MyU. Keep in mind MyU content is still in development and some things will be updated between now and Go Live. 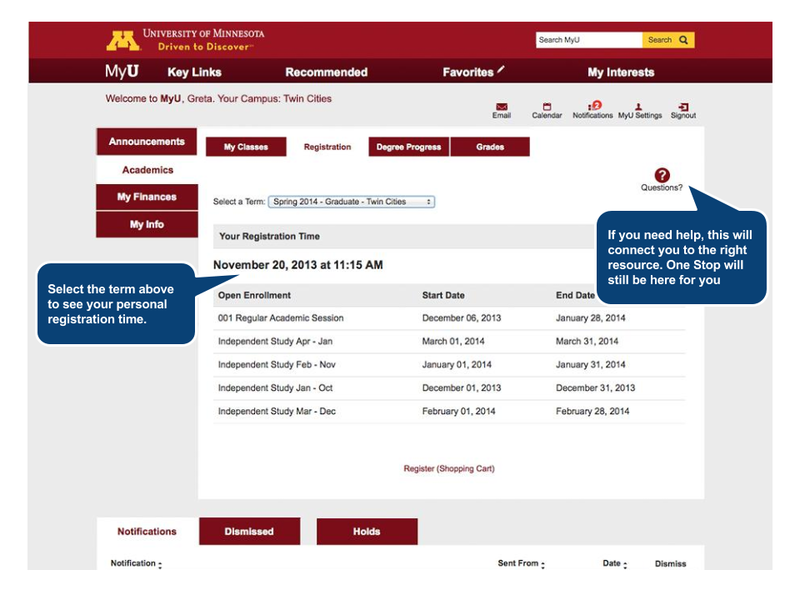 If you’re a student, after the Upgrade goes live, you’ll do many of the tasks you currently complete at the One Stop website in the new MyU. 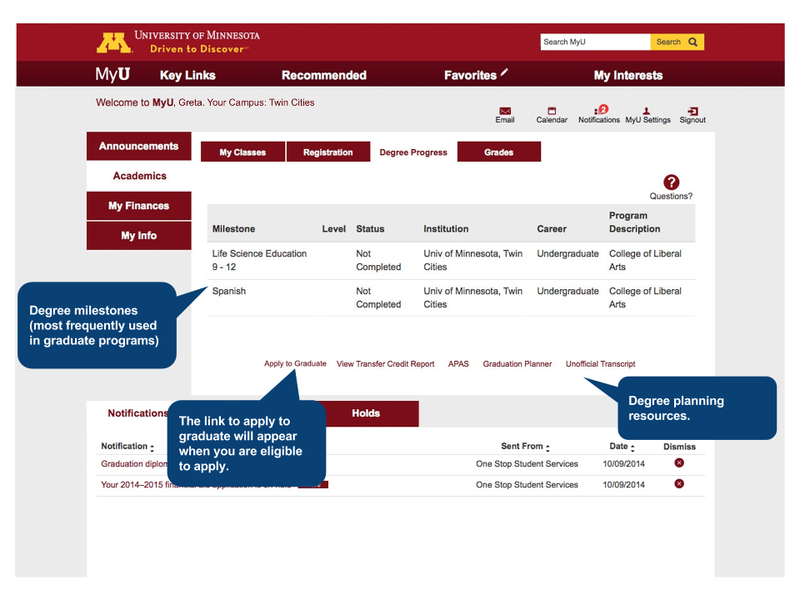 These tasks include things like registration, applying for financial aid and paying bills. 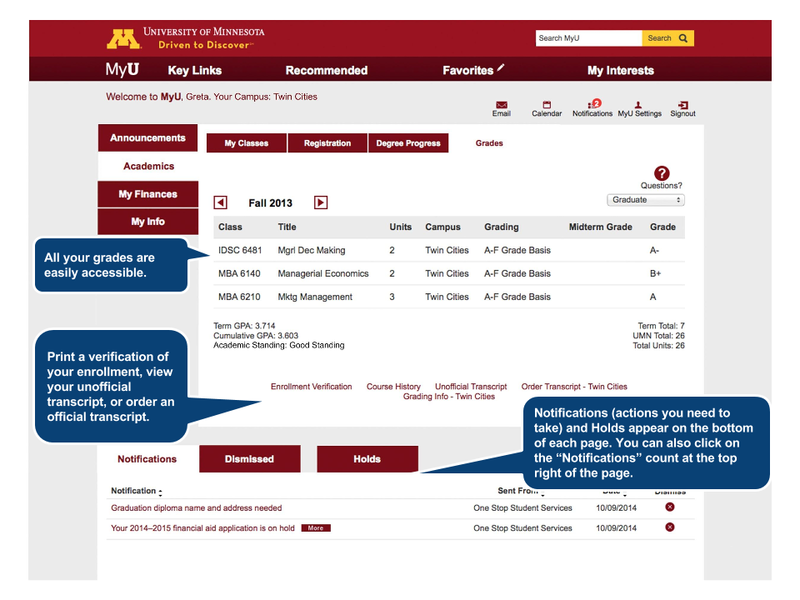 The Academics tab shown here is your entry point to information about your degree, registration, classes, and grades. Click on the images to enlarge.